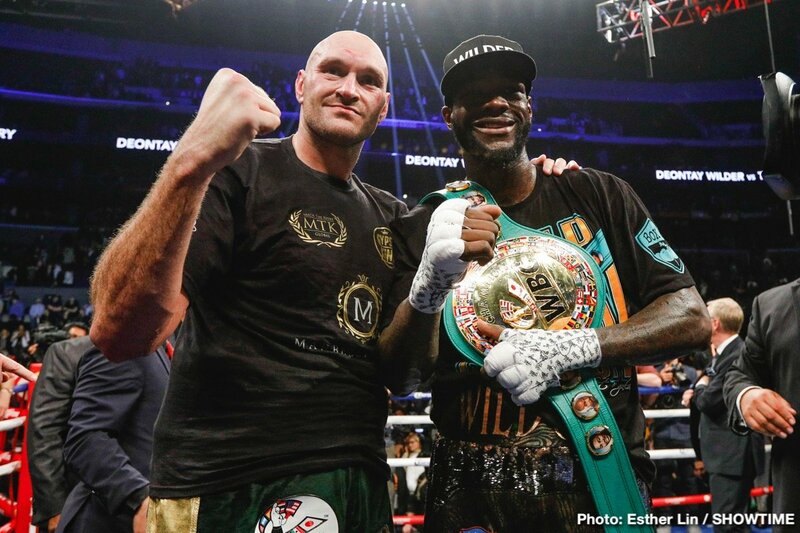 Deontay Wilder And Tyson Fury Give Us A Great One – And A Draw! Talk about a result absolutely nobody saw coming. 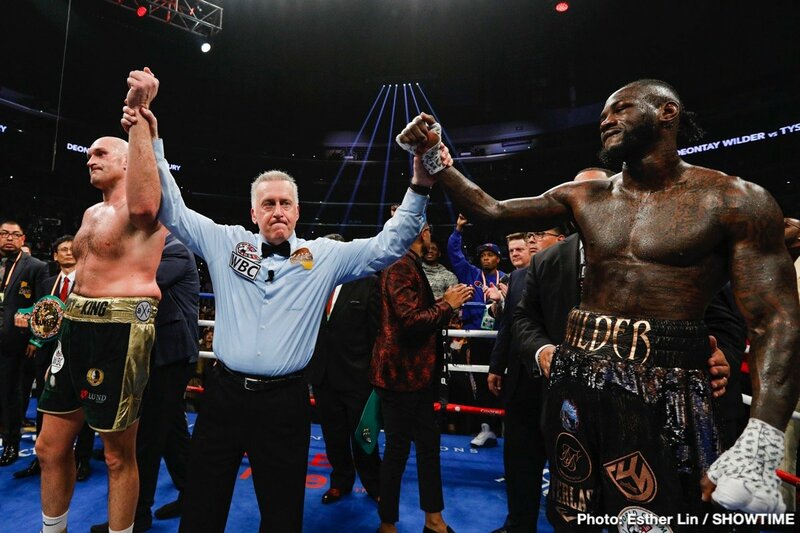 Deontay Wilder and Tyson Fury drew last night in Los Angeles, with WBC champ Wilder retaining his title on the score cards. 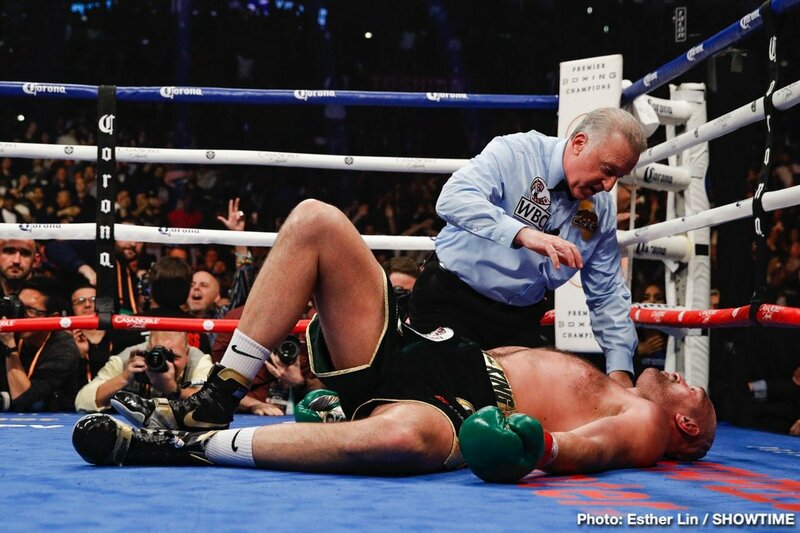 But the big story is how special the fight was – the 12th and final round being the stuff of legend already. 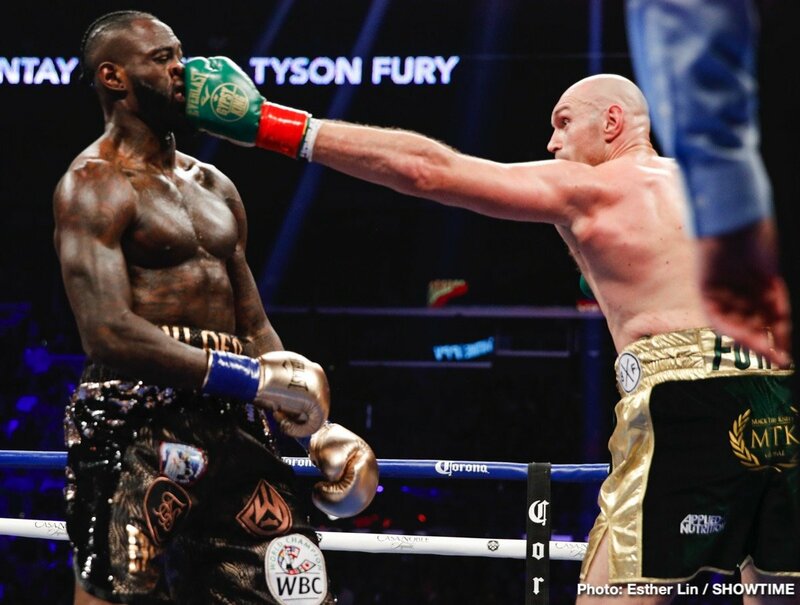 Wilder, who scored not one but two knockdowns over Fury during the fight – in round-nine and in the final session – got the nod from one judge at 115-111, but Fury was deemed the winner on the second judge’s card at 114-110. The final official had it all-even at 113-113. 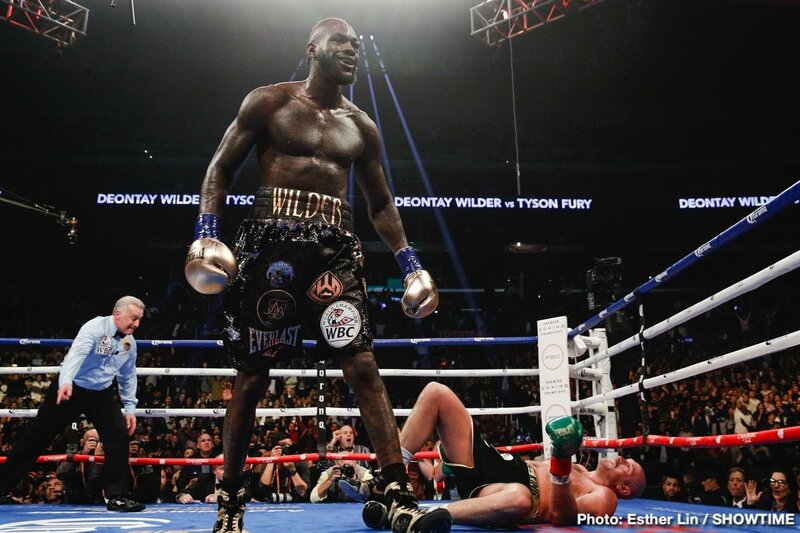 Wilder is now 40-0-1(39). Fury is now 27-0-1(19). As expected it was a tense opening round with both men paying the other full respect. Fury would soon loosen up though, and get to his boxing. 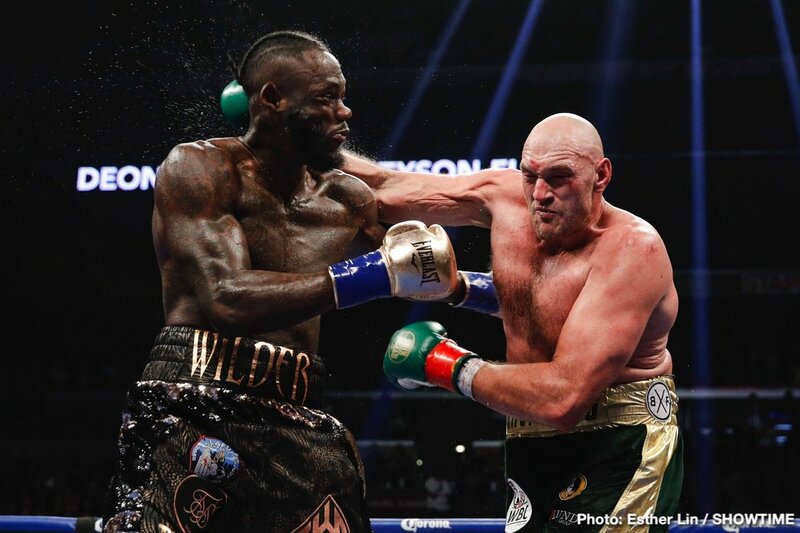 Using his fine left jab to good effect, Fury was outboxing Wilder and he was putting rounds in the bank. 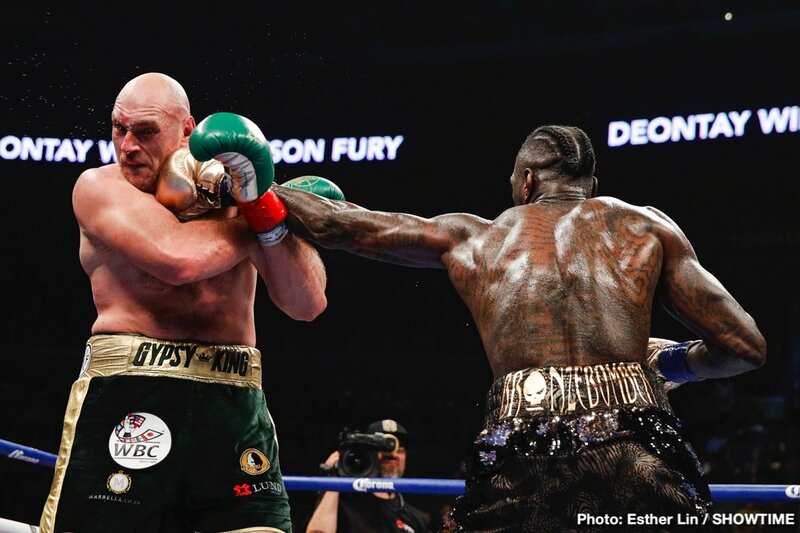 The early rounds were close with not much in them at all, but by the 4th Fury was in control, with Wilder being made to miss quite a bit. By the 7th Wilder’s eye was swelling and he seemed to be looking, already, for one big shot to end matters. Fury was busier, and he was certainly piling up the points. 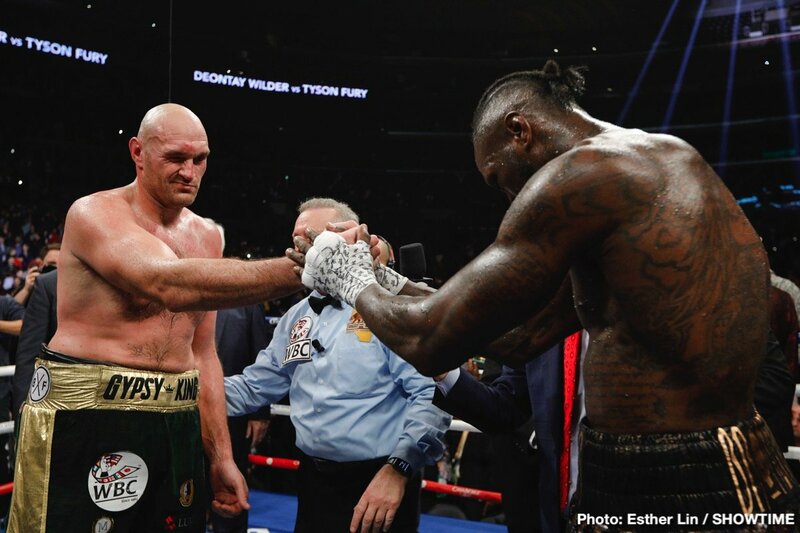 Fury was happy to showboat in the eighth, and Wilder was perhaps looking frustrated. But would Fury’s gas tank hold up? In the ninth it looked doubtful. 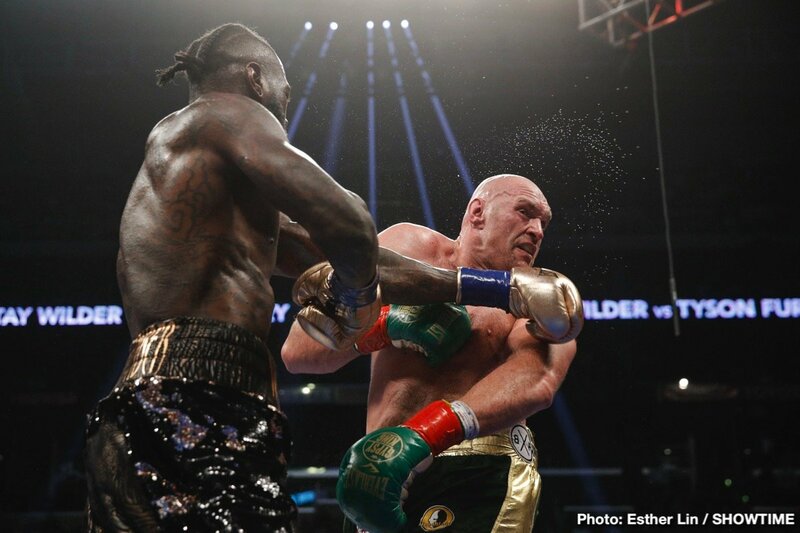 Wilder’s honey-punch, the right hand, decked Fury heavily and the crowd erupted. Fury was hurt bad, perhaps more so than at any other time in his career. 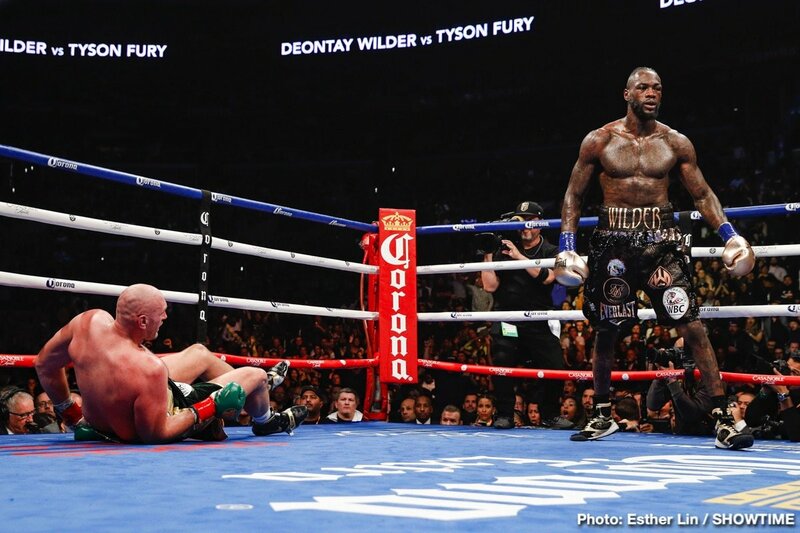 Still, Fury was able to hold on until his head cleared and Wilder was unable to land the finisher. It was all drama from here on in. With both men tired in the tenth, Fury was able to get back to his boxing. 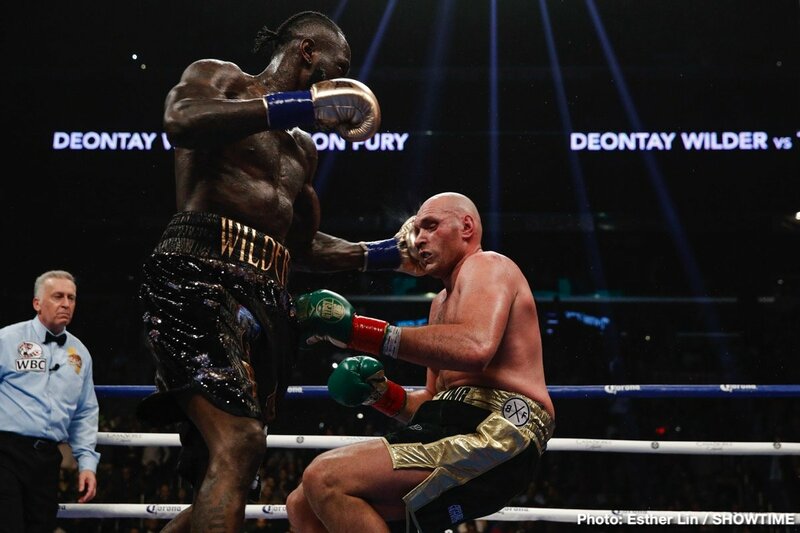 Wilder was not throwing enough and Fury got his full confidence back after the knockdown. 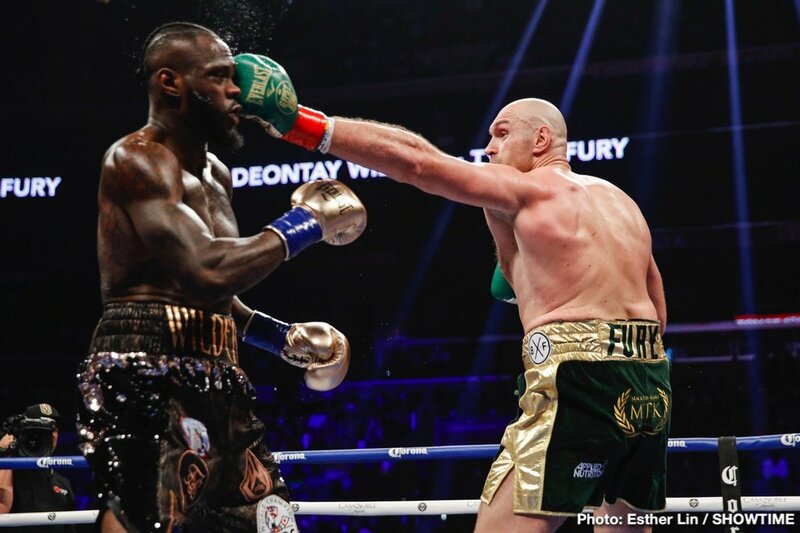 The 11th saw more impressive boxing from Fury and it was clear Wilder needed at least another knockdown or a maybe even a KO to win. Oh, how close he came in the final round. Fury was decked by a monster right hand and he looked all gone. Motionless. Then, amazingly, up jumped the 30 year old! 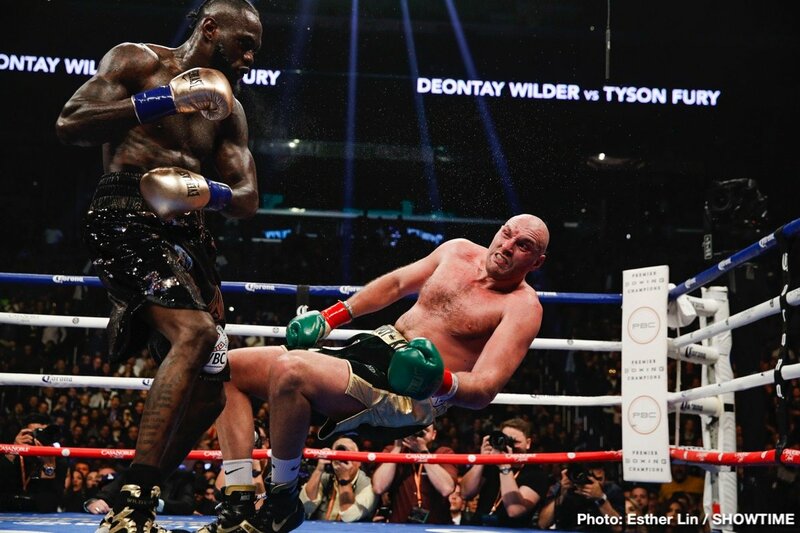 Fury even managed to come back at Wilder, landing some shots of his own. Truly incredible and fans will be talking about this round of boxing for quite some time. So now what? Both men felt they won the fight last night and both men do have a case. It was an engrossing fight capped by a special 12th round. It’s a no-brainer these two will meet again for the return fight. 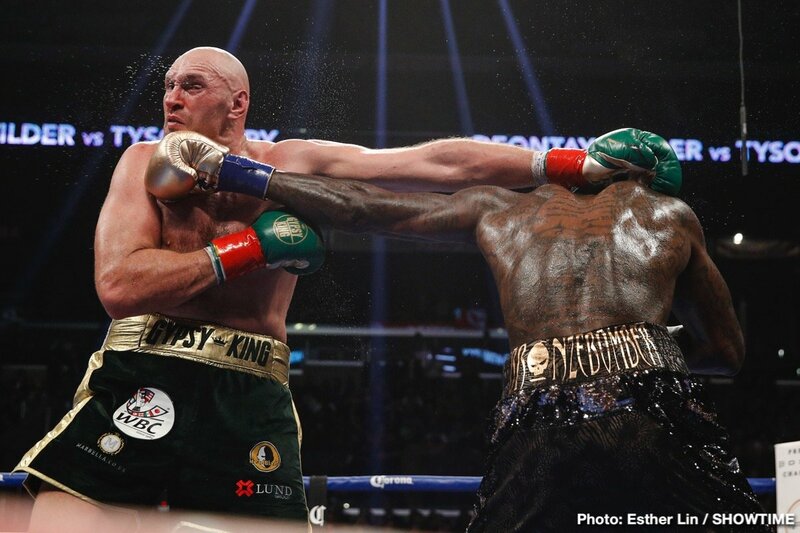 You are here: Home / Boxing News / Deontay Wilder And Tyson Fury Give Us A Great One – And A Draw!